The Veterinary Consult" version of this title provides electronic access to the complete content of this book. "Veterinary Consult" allows you to electronically search your entire book, make notes, add highlights, and study more efficiently. Purchasing additional "Veterinary Consult" titles makes your learning experience even more powerful. All of the "Veterinary Consult" books will work together on your electronic 'bookshelf', so that you can search across your entire library of veterinary books. "Veterinary Consult" It's the best way to learn! 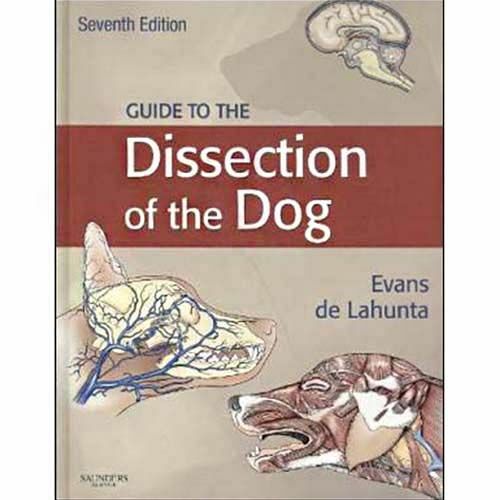 The book develops an essential understanding of basic mammalian structure and specific canine features and ensure thorough, precise dissections with the only complete guide to the dissection of the dog. Emphasizing anatomical knowledge and utilizing terminology from the "Nomina Anatomica Veterinaria", each chapter in this trusted reference presents self-contained guidance on the dissection of a specific body part, allowing you to perform dissections in whatever sequence you choose and achieve the most effective results.